Mad Bull Ledger Most recent addition - the Mad Bull Ledger on PILA ! The Mad Bull Ledger is now available on the PILA. 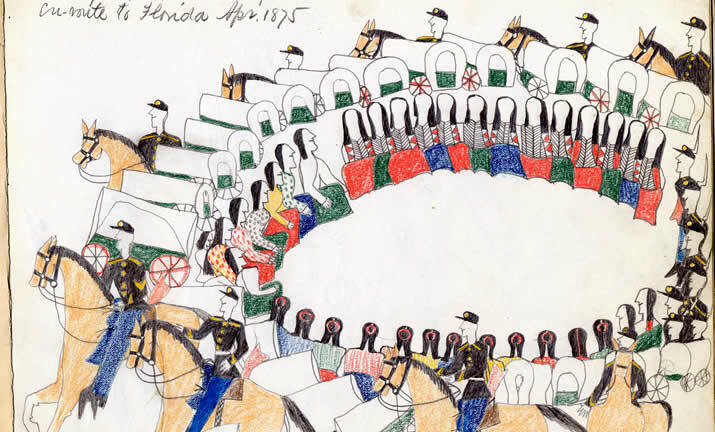 This important addition to the Plains Indian Ledger digital art collection features fifteen ledger drawings by Southern Arapaho Artist Mad Bull (1883-1884), including battle scenes, soldiers, ceremonial scenes, and other aspects of warrior societies.